While the single-largest cause of the 318% rise in electricity rates in Ontario since 2002 was the closing of our coal stations, the actual impact on climate has been trivial. After all, Canada’s greenhouse gas (GHG) emissions account for only about 1.5% of the global total, and Ontario produces less than a quarter of that. Activists argue that it is still worth the cost since we are setting an example for developing nations, the source of most of the world’s emissions, to follow. But poorer countries have indicated that they have no intention of following our lead. Duterte can say this with a clear conscience. The UN Framework Convention on Climate Change, the foundation of the Paris Agreement, gives an out clause for developing nations. The treaty states, “Economic and social development and poverty eradication are the first and overriding priorities of the developing country Parties.” Climate change be damned. Given that there has been no recent increase in extreme weather or the rate of sea level rise, the only rationale for Wynne’s actions would be the possibility of dangerous climate change in the future. To develop sensible public policy in this case, we need vast amounts of weather and climate data. This is required to build the computer models on which climate concerns are based and then to provide the starting conditions for model-generated forecasts to be performed. We would then need to determine if these changes are likely to be dangerous, and if they are, how much of it we are causing. Former University of Winnipeg professor and historical climatologist Dr. Tim Ball says that the collection and interpretation of data needed to fulfill these requirements has only just begun. He explains that there are relatively few weather stations of adequate length or reliability on which to base model forecasts of future climate. “Wynne’s worries therefore have absolutely no credibility in the real world,” Ball concludes. The UN’s “My World “ global survey shows that Ontario’s premier, and indeed most of the political elite in developed countries, are out of touch with average people on climate change. After 9.7 million people from 194 countries have been polled, “action taken on climate change” rates dead last out of the 16 suggested priorities for the UN. For most of the world, and especially those in developing nations, the message is clear: in comparison with access to reliable energy, better healthcare, government honesty, a good education, etc., climate change is not important. It’s time for Wynne to stop wasting billions of Ontario tax dollars trying to stop the climate from changing. We have real problems to solve. 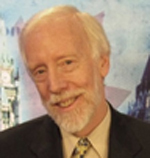 Tom Harris is Executive Director of the Ottawa-based International Climate Science Coalition (ICSC). ICSC is not right wing (our participants come from across the political spectrum), is not funded by ‘big oil,’ and are not lobbyists or ‘shills’ for industry of any sort.